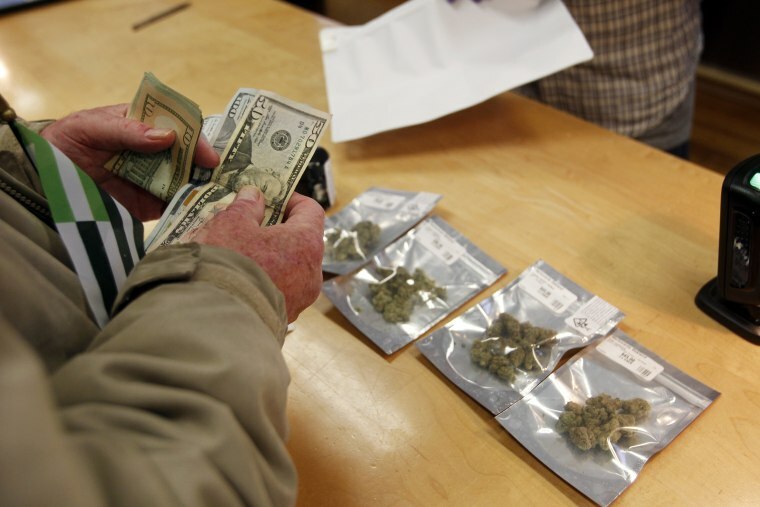 Sales at California dispensaries were just $339 million through February, a figure well below the state’s expectations. So far, it’s been quite a year for weed: California’s foray into legal recreational use began in January, former House speaker John Boehner said his views on the drug had “evolved” and joined the board of cannabis company Acreage Holdings, and New York Senator Chuck Schumer announced on Friday (yes, on 4/20, for those keeping track of these details) a plan to try and decriminalize marijuana at the federal level. But like the crop itself, cultivating a mature market takes an investment of time and resources. California’s legalization of recreational marijuana hasn’t been without growing pains, with industry experts saying a clunky rollout, local resistance and burdensome tax and regulatory requirements are keeping the industry from hitting its stride. “The launch of the California market has been a total mess, and not entirely unexpected,” said Troy Dayton, CEO and co-founder of cannabis market research firm Arcview Group. “This is the most complex, onerous and far-reaching regulatory scheme that’s ever been tried. Every time you add a level of complexity, you add a level of uncertainty,” he said. According to research firm BDS Analytics, 2018 sales at dispensaries licensed to sell for recreational use in California were $339 million through February, a figure below the state’s expectations. Greg Shoenfeld, vice president of operations at BDS Analytics, said initial projections could have been overly optimistic.”Whenever there’s a proposal to move to a legalized market, the best case scenarios are laid out in terms of revenue expectation, but typically, implementation moves a bit slower,” he said. Experts suggest that much of the industry is still operating underground. “We estimate that 85 to 90 percent of the industry that existed last year is not licensed,” said Chris Beals, president and general counsel for Weedmaps. Although some faulted the state for its pace of issuing licenses, Beals said the bottleneck was happening at the municipal level. “The biggest problem has been that there’s been a complete failure of local governments to issue licenses,” he said, adding that 85 percent of cities and counties in the state have bans on recreational marijuana retailers. The thinking goes that, without legal storefronts from which to purchase their cannabis products, people will continue to rely on the black market. Even if they live near a dispensary licensed to sell to recreational users, regular marijuana users who are brand-loyal to a specific grower or strain might not find their product of choice in stock. Taxes are also a hurdle in that they raise prices all along the supply chain, making it tough for retailers to turn a profit and end up giving customers an incentive to seek out cheaper, illegal alternatives. Industry experts pointed out, though, that while California’s rollout might be unwieldy, it benefits from the groundwork laid by states that legalized recreational marijuana use earlier — offering case studies that serve as both road maps and cautionary tales. “I’m not nearly as alarmist — I think we saw the same situation in Colorado,” Shoenfeld said. “Estimates of tax revenues collected came in below projections for the first year before stabilizing. Every year since, we’ve exceeded them. And the industry’s supporters are still bullish about its long-term numbers. Research released jointly by BDS Analytics and the Arcview Group predicts that the market for legal cannabis in the United States will grow from $16 billion last year to $40 billion by 2021, a 150 percent jump, and those in the industry says interest from investors remains high. Rosalie Liccardo Pacula, director of the BING Center for Health Economics and co-director of the Drug Policy Research Center at RAND Corporation, argued that four months into the opening of the recreational market was too soon to draw conclusions about its long-term viability.